Pit stop in Joshua Tree, California with my trusty road warrior. She’s just reached 200,000 miles! I recently posted a blog titled A Year of Travel which lists the places I’ve visited while on the road throughout this past 1+ year. Often, when people first learn of my gypsy lifestyle, many can’t help but wonder how I’ve managed to do it. I have found myself wondering the same thing about other long terms travelers: Are they trust fund babies? Are their parents footing the bills? Are they being supported by a significant other? I hope by dedicating a post on how I’ve managed to travel for so long would help clear up any misconceptions and satiate any curiosities. In my case you’ll learn there’s no magic formula (or wealthy significant others!) just a lot of hustle, trust, good luck, blind naivety, let-go, humbleness, and meeting a lot of good people along the way. This is the first and most important step. Without the savings I gathered from being a cruise ship singer this life I’m leading would have been impossible, or at least only lasted a few good weeks or months at most – not nearly two years. I began my travels with $10,000 in the bank. What I wouldn’t give to see those digits in my bank account once again! Having a comfortable nest egg makes for a much more pleasant, less stressful traveling experience and all the more likely you’ll get to fly by the seat of your pants or – travel on a whim – and lack of planning is what I believe makes it all that much more fun and serendipitous. House sitting provides a free place to stay in exchange for taking care of someone’s home and usually pets and plants. I have now house sat six times, and all but one were amazing experiences that resulted in new friendships. My go-to sites are mindmyhouse.com, housecarers.com, and trustedhousesitters.com. 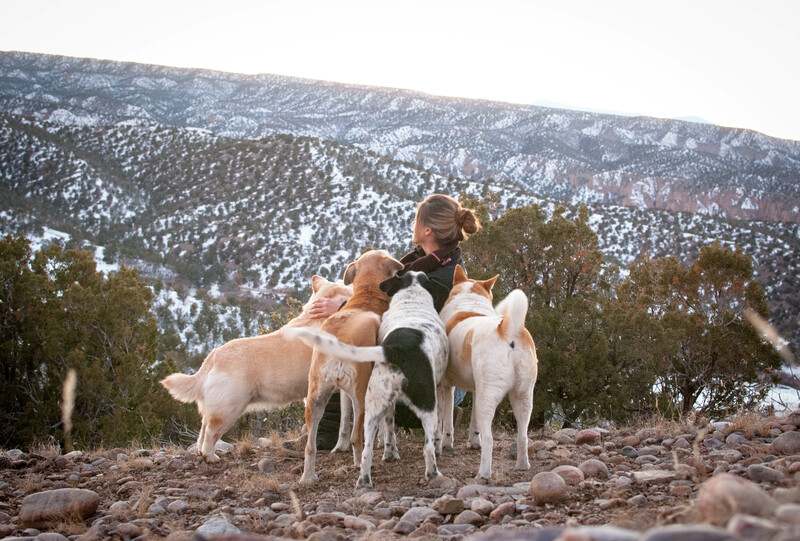 House and dog sitting in the mountains of New Mexico. 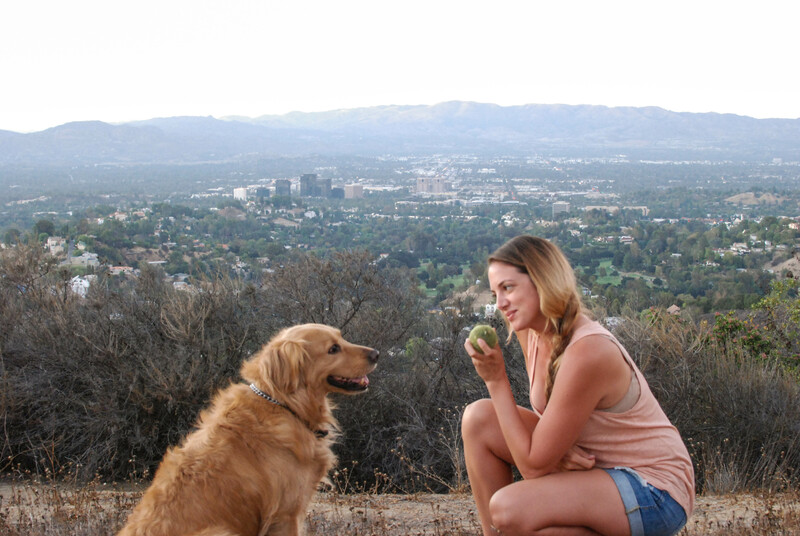 House and dog sitting in Topanga, California. On the farm in Kentucky. I’ve worked many seasonal jobs in my lifetime. I actually prefer them, because seasonal or contract based work provide me an “out” without actually having to quit, and knowing there’s a set end date relieves my anxieties of being “tide-down” or “stuck”. Also, seasonal jobs are usually fascinating and attract fascinating people. Would you rather work an unmemorable stint at Starbucks (I’ve done it) or spend a season at a national park, amusement park, cowboy ranch, cruise ship, or ski resort? Try coolworks.com, or go directly to the website of the place you’d like to work for and search under employment opportunities. I have spent a season building trails for the city of Boulder, Colorado, performed in amusement parks and on cruise ships, taught ESL classes, and led hikes throughout the Santa Monica Mountains. Each provided fun memories and more money in the bank to continue traveling. Hiking Guide – how cool! Audience work is fun and pays cash on the spot. I’ve had some great experiences as an audience member in LA and have met some great people along the way. In fact, two of my closest friends in LA were made through audience work. And hey, who wouldn’t enjoy bragging rights from all the famous celebrities you’re bound to come across! Sometimes the days are long and tiring, but it beats a lot of other work out there. Check out onsetproductions.com and standingroomonly.tv. Just getting paid to hang out with Penn and Teller! Yes, you read that right. 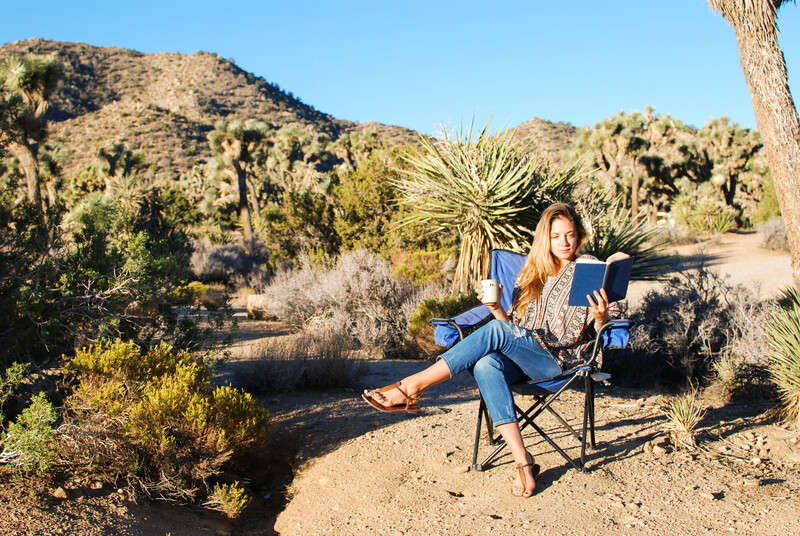 While I understand this may not be for everyone, to keep costs down I sleep in my car everywhere – from rest stops to the side of the road, to neighborhoods, campgrounds, and in national parks. I now lovingly refer to my car as the ‘Honda Inn’. I use a 32 degree synthetic down sleeping bag (which means I’m always warm and toasty) that compresses into a tiny sack. Now if you’re 6’2 this may not be the answer for you, but for a girl like myself, I curl up nicely in the back seat and sleep very well and inconspicuously this way. And for the times I’m feeling up to it, I’ve also been known to pop a tent. I fall asleep and wake up in some of the most beautiful places thanks to my hotel on wheels. I have been so blessed to have met some amazingly compassionate people along my journeys who have provided meals, warm showers, places to sleep, laundry, and anything and everything in between. Honestly, these people are nothing less than angels in my eyes. It always helps to have friends along your travels willing to “take the load off” at times. Actually, I’m currently writing from a friend’s house right now! Meeting such angels who provide a rest from the road may be easier said than done, but do make it a point to meet people and make connections, as in the end, it’s the people you meet along your journey that really make for lasting memories, not the places you go or the things you do. I limit eating out: On the road I buy most of my food from the grocery store and stock up on things that will last awhile and are filling, like a bag of nuts/seeds. Many of my travels are unplanned and spur of the moment and often I find myself in the middle of nowhere, so I’ve found it’s good to have a backup stash of nonperishable goods always at hand. I don’t have any credit card debt: I stopped using credit cards years ago. Sometimes I’m tempted to use them again when I hear of the travel benefits one can get by racking up all those points, like free flights and such, but I know credit cards can be a slippery slope into overspending and debt. Also, not having them to rely on forces me to be more careful, creative, and daring. I don’t have huge college loans to pay back: Luckily I never racked up huge college loans. I pay $90 a month and that’s over the minimum requirement. $2,000 more to go until I’m free! I’m on the family plan: Thanks to mom and dad, I don’t have an expensive cell phone bill every month since we’re all on the family plan. Up until about a month ago I never had a data plan, either, which kept the costs down, but I would suggest having one if you’re on the road. It’s turned out to be a life saver many times and I wouldn’t want to go back to living without it! I don’t spend exorbitant amounts of money on clothes or makeup or grooming/bath products: I shop for clothes only when necessary and don’t often wear makeup or use hair products. This also helps me travel light. 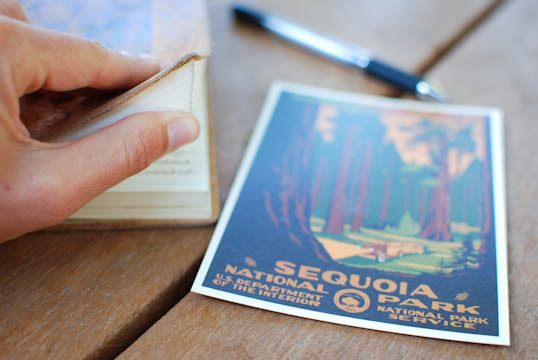 Journal and postcard writing from Sequoia National Park. So there are my tips for making your money last while out on the road. I would be happy to answer any questions you may have – I would also love to hear your travel tips and advice! Just leave ’em in the comments.